Four-star 2019 wide receiver Puka Nacua opted not to make a decision on national signing day while he continued to mull his options. Now the decision is in, and the Huskies are the winner. It’s ironic that Puka Nacua’s Twitter handle is @AsapPuka. For five days, the four-star wide receiver kept the Washington Huskies waiting. 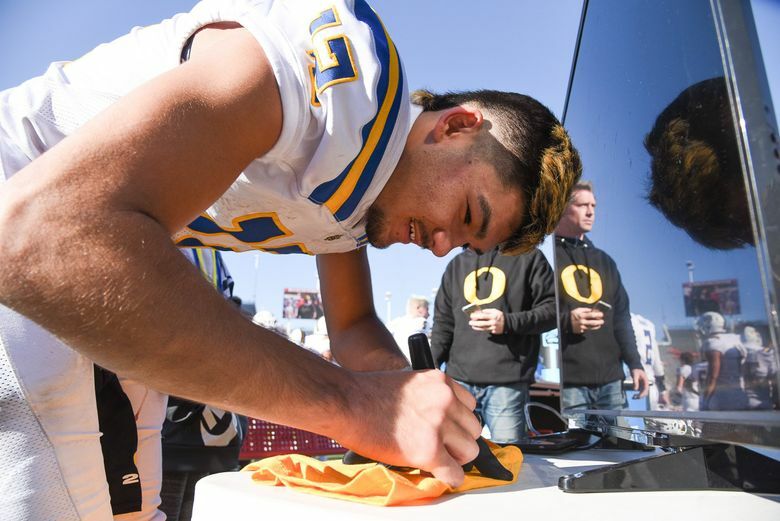 That wait came to a merciful end on Sunday night, when Nacua — a USC verbal commit who skipped national signing day on Wednesday while he and his family continued to mull his options — announced on KSL 5 TV in Salt Lake City, Utah, that he would sign with UW. Even then, his announcement was further delayed when a snow storm rocked northern Utah and forced the wide receiver to arrive late to the television station. Husky fans should be equally excited. A four-star recruit and the No. 8 wide receiver in the 2019 class according to 247Sports, Nacua (eventually) chose UW over Oregon, USC, Utah and UCLA, among others. He’s also listed as the No. 48 overall prospect in his class, earning the top mark of any Husky commit or signee. Washington’s 15th four-star prospect in 2019 chose a program with an immediate need at his position. That’s due in large part to Nacua’s talent, of course. The 6-foot-2, 190-pound wide receiver took home offensive MVP honors at the Polynesian Bowl last month and holds Utah state records for single-season receiving yards (2,336) and receiving touchdowns (26) as well as career receiving yards (5,226), touchdown catches (58) and receptions (260). 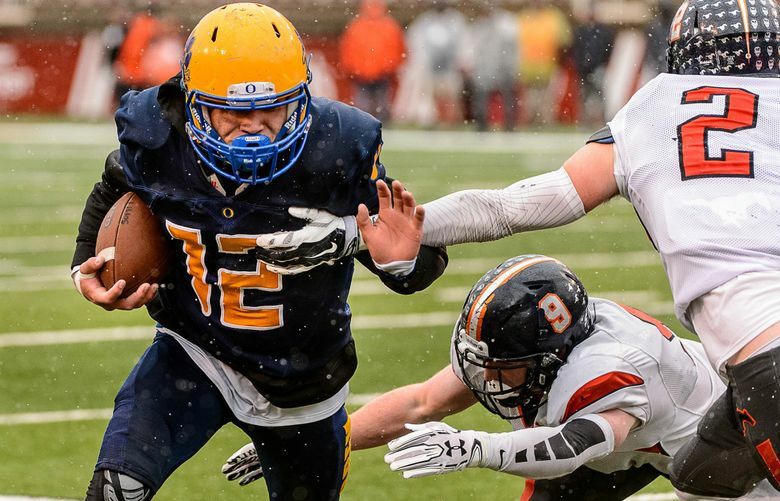 He led the country in receiving yards last season and was subsequently named the All-American Bowl national offensive player of the year as well as Utah’s Gatorade football player of the year. But Washington also has a specific need for Nacua. The Huskies had signed just one 2019 wide receiver in three-star prospect Taj Davis and noticeably lacked a definitive No. 1 target for Jake Browning in 2018. Perhaps that need ultimately steered Nacua to UW, lifting the Huskies over the late-charging Ducks, the longtime favorite Trojans as well as in-state power Utah — home to Puka’s older brother, Samson, a starting wide receiver for the Utes. His addition also lifted Washington’s 2019 class to 11th nationally in the 247Sports rankings, just one spot behind Oregon (who had three more signees and three fewer 4- or 5-star prospects) for tops in the Pac-12 Conference. Nacua’s apparent signing qualifies as a major recruiting coup for new Washington wide receivers coach Junior Adams, who was officially hired by UW on Jan. 17 and met Nacua on the decorated prospect’s official visit eight days later. Adams spent the last two seasons as the offensive coordinator and wide receivers coach at Western Kentucky and previously coached receivers at Boise State (2014-16) and Eastern Washington (2009-13) as well. Regardless of the wait, Adams, Chris Petersen and Co. must be happy with the result. 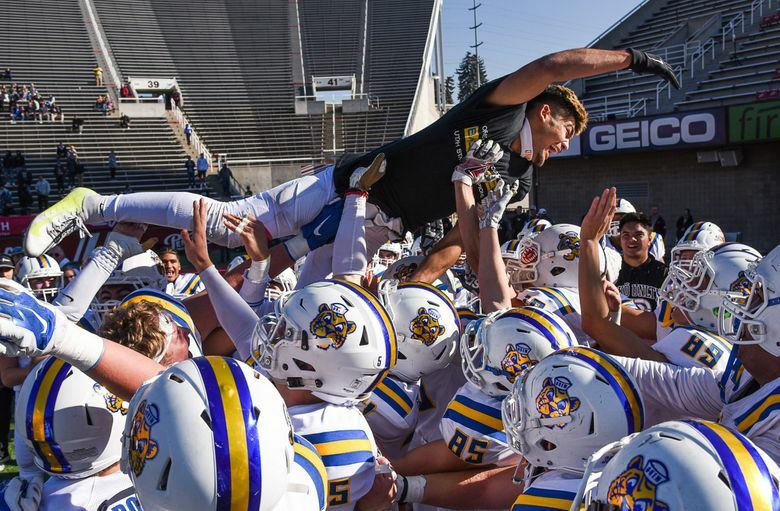 Added Orem High head football coach Jeremy Hill on the KSL 5 TV broadcast: “He’s about as perfect a football player as you can get. (He) loves the game, which is rare these days. A lot of kids are about the Twitter, the offers, the social media.